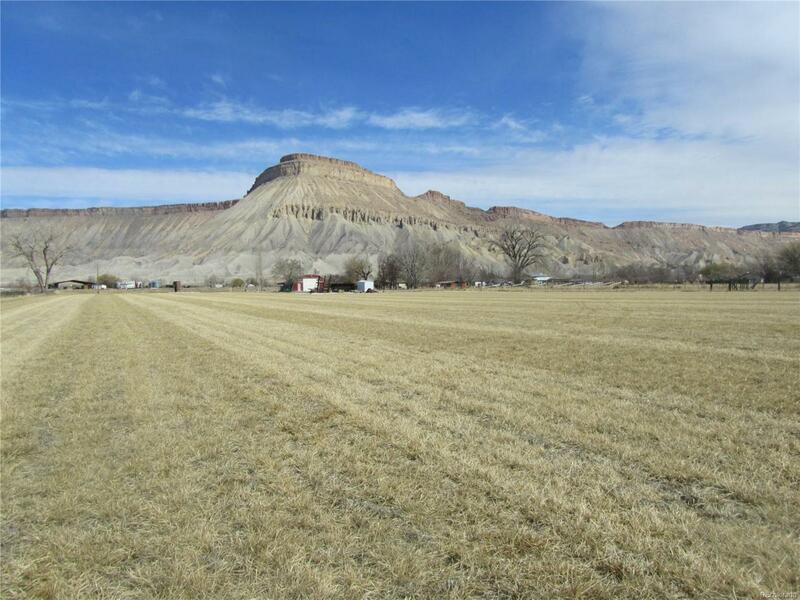 7 acres planted in Alfalfa/grass hay for sale near Palisade, Co. Great irrigation rights with gated pipe. Included is quonset hut style home with attached shop. 710 sq ft 1 bedroom, 1 bath with loft residence and 21X32 attached shop. An additional storage shed and equipment shed are included as well. This would make a gorgeous building spot for your dream home with unbelievable views of Mount Garfield, mountains, and valley. Terrific location for all the recreation Colorado has to offer. Just minutes away from fishing, hunting, hiking, four-wheeling, skiing, biking, and more. This is a very unique acreage and the possibilities for the property are unlimited. Call today for more information and a private showing.